Status-Q is fifteen years old today. 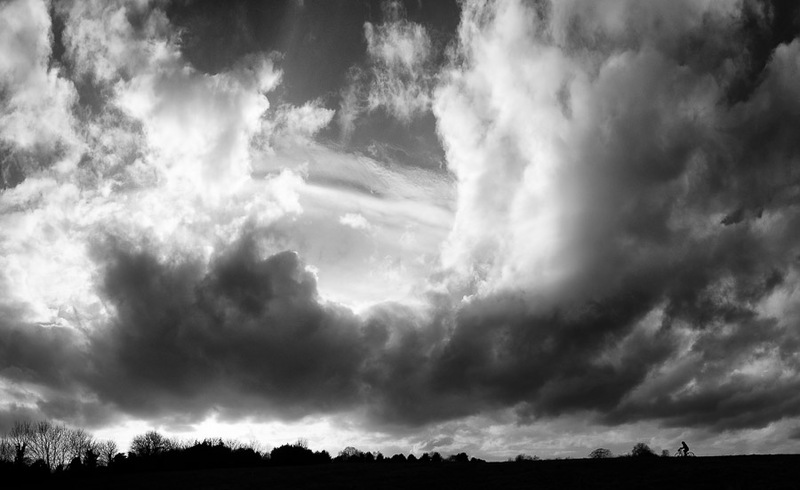 There have been times when I’ve done several posts in one day and others when long periods of silence have gone by. This last week, for example, my life has involved rather more ‘flu than inspiration. Sorry! Status-Q has never been a high-traffic site, mostly because it’s random personal scribblings, rather than having a strong theme. I started it as a kind of diary and aide-memoire rather than anything else: other models of blog-writing weren’t plentiful at the time! The regular readership, as near as one can measure these things, is in the hundreds rather than thousands, and I find even that somewhat astonishing. But the wonder of search engines also means that some of my posts — especially ones dealing with technical problems — are found and commented on a decade or so after I posted them. So I’m very grateful to those who keep reading and who send me encouraging messages, despite my inconsistency. Those of you who choose to receive it in your email inbox are particularly worthy of my respect and love! 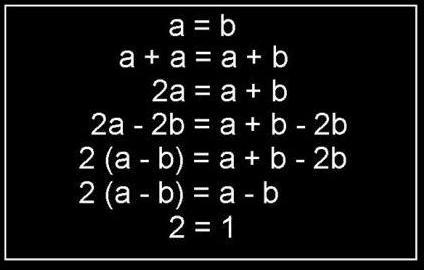 Today, I’ll just leave you with this little mathematical proof that I found somewhere online, which should cause you some concern if, say, you plan to perform any financial transactions today, or travel in any form of transport that required engineering to build it. You’ll see that each step follows logically from the previous one, and the result is somewhat surprising. I met another man who doesn’t have one today. A very nice chap taking photos of a nearby house that’s about to go on the market. We chatted for a while. I presumed that estate agents used drones as matter of course now for their aerial shots, but he said the hassle of dealing with the CAA was still too much trouble and the insurance for commercial use ran to about £2K/year. 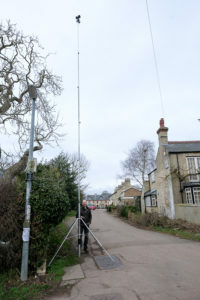 So he has a tall pole with an SLR on it and a remotely-controlled pan-tilt-zoom head. A very nice toy, and I told him so. You shouldn’t, of course, believe what you read in the papers. This is a good general rule, but recently we had a rather striking example. 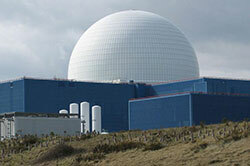 On Feb 11th, The Times ran an article entitled, “Electric cars mean UK could need 20 new nuclear plants”. The analysis, seen by The Times, says that moving to an electric or hydrogen vehicle fleet “has implications for London’s energy supply system”. At the maximum level of uptake in the city green cars would demand between seven and eight gigawatt-hours per year. Experts said this was equivalent to the output of more than two nuclear power stations similar to that being built at Hinkley Point in Somerset. Extrapolated nationally, it would require the equivalent of 20 new nuclear power stations nationwide. That’s a pretty memorable number – 20 new nuclear power stations! – and indeed, a family member who had seen it asked me about it, knowing my interest in the topic. I did some back-of-the-envelope calculations and things looked fishy, and it turns out that the original article is full of mathematical errors and lack of understanding. The first, and biggest, is that seven gigawatt-hours-per-year is not the same as seven gigawatts! Two Hinkley Points would indeed produce about 7 GW, but that is 7 gigawatt-hours-per-hour, not -per-year! So they were out by a factor of about 6000 immediately. However, many of the other figures quoted were also incorrect (some of them in the other direction). If you’re interested in the real numbers, David Pellow’s letter to the Editor gives a much better analysis, but a quick summary is that yes, of course, we will need some more power generation when all of the UK’s 31M cars are electric, but if those cars are mostly charged overnight during off-peak periods, we could handle about 20M of them already just using the current power network. This whole area is rather a fun topic, actually, and takes us into the realms of smart grids, home solar, grid-scale storage made from recycled batteries, and so forth. Cars are remarkably flexible about when, and how fast, they are charged, making them ideal for absorbing excess power and smoothing out the fluctuations of demand and of renewable generation. One day last year, Germany’s renewable sources of electricity produced so much power that they actually paid people to use it, and the problem of dealing with the peaks and troughs of demand is something that the power grids have had to struggle with for decades. Cars can actually help with this. The online version of the article has been edited to remove the dramatic claims, though the URL still reveals the original embarrassing headline. I can’t decide whether this is an admirable admission of error, or an attempt to rewrite history and pretend it never happened. What do you think? The Daily Mail’s version of the story is still online, and I don’t believe they’ve published a correction at all. Should they be required to do so, when they were repeating another paper’s story which has since been retracted? It’s morbid, but the truth is that due to limitations on who can contribute transplants, among the most reliable sources for healthy organs and tissues are the more than 35,000 people killed each year on American roads (a number that, after years of falling mortality rates, has recently been trending upward). Currently, 1 in 5 organ donations comes from the victim of a vehicular accident. That’s why departments of motor vehicles ask drivers whether they want to be donors. It’s not difficult to do the math on how driverless cars could change the equation. An estimated 94 percent of motor-vehicle accidents involve some kind of a driver error. As the number of vehicles with human operators falls, so too will the preventable fatalities. In June, Christopher A. Hart, the chairman of the National Transportation Safety Board, said, “Driverless cars could save many if not most of the 32,000 lives that are lost every year on our streets and highways.” Even if self-driving cars only realize a fraction of their projected safety benefits, a decline in the number of available organs could begin as soon as the first wave of autonomous and semiautonomous vehicles hits the road—threatening to compound our nation’s already serious shortages. But soft, what light through yonder bottle breaks? In Cambridge marketplace, there’s one of those installations that I presumed was supposed to be art, and as I walked by I pondered all the other things that taxpayers’ money could usefully be spent on… It was labelled, so I thought, ‘Litter of light’. But then I realised that ‘Liter of light’ wasn’t actually a typo — I’m so unused to the American spelling of ‘litre’ that I misread it initially. And looking at the sign got me interested enough that I went to the organisation’s website, only to find that it isn’t, well, ideal, for someone who’s trying to find out what this is all about. But with a bit of perseverance and some searching elsewhere, I pieced it together. 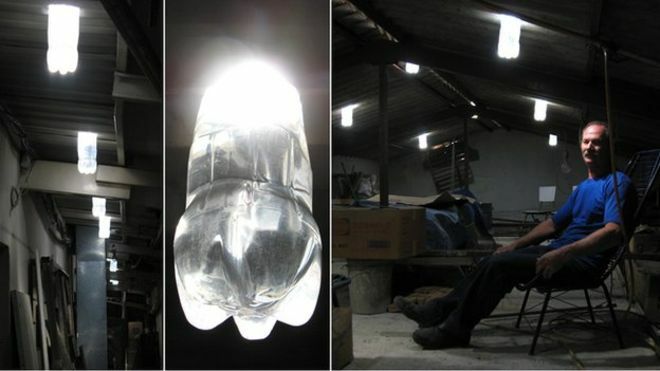 The story, in fact, goes back to 2002, when a Brazilian chap named Alfredo Moser realised that, if you live in a shack with no windows, you can still bring sunlight into your home using water-filled recycled plastic bottles as diffusing skylights. Liter of Light is a foundation that, as well as installing and encouraging the installation of vast numbers of these around the world, is now bringing them up to date by adding solar panels, batteries and LEDs, meaning that your bottle can provide light at night as well as during the day. All in all, a very nice use of simple technologies to meet a real and widespread need! I love this kind of thing. 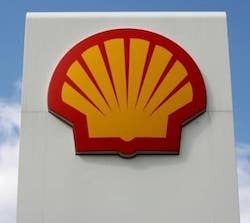 Rumours emerged last year that Shell were thinking of installing electric-vehicle charging stations in their forecourts, and they have now confirmed that the first ones will be rolled out in the next few months. This is great news, though I’ve complained before that having an electric vehicle means you tend to spend more time in motorway service stations, and, frankly, if there’s one place worse than a motorway service station, it’s a petrol station forecourt. I’ll be much more enthusiastic when, say, the National Trust expands its laudable if rather meagre network of charging points, so I can charge my car while strolling through Capability Brown landscapes. Still, a more ready availability of charging points anywhere is excellent news, and in-city petrol stations will certainly help those who want to own an EV but don’t have their own off-street parking — currently a significant barrier to electric adoption in cities. At a dinner at a friend’s house tonight, we finally worked it out. Donald Trump is Zaphod Beeblebrox. For those well-versed in late-20th-century literature, a lot of things then suddenly make sense.